The Ai Esri Connection is a joint exhibit between The Art Institute of California—Inland Empire and Esri. It celebrates the unique relationship that has developed over the years between the two organizations. Together, they have focused on cultivating student success and educating them on career opportunities that are available, particularly in the fields of GIS, technology, and design. The two have teamed up on several student initiatives in the past including implementing internship programs, workshops, portfolio reviews, on-site tours, and annual meetings. Esri has hosted a number of interns and maintains an open rapport with the faculty at Ai, constantly exploring new ways to strengthen this bond. Who says corporate America is boring? It’s the innovative designs from Ai alumni that makes Esri stand out from the crowd in a fast paced hi-tech world. Today, through June 2, 2016, Ai and Esri are showcasing the work of six Ai alumni who are currently employed full-time at Esri’s Creative lab: Aldo Lopez, Bryan Stifle, Candice Lawson, Derick Mendoza, Julio Ochoa, and Paul Briseño. These designers work on a vast array of projects, each with their own specialization. Together with the other Creative Lab designers, they constantly push the boundaries of creativity, helping to build the visual and experiential identity of Esri. Creating welcoming design in a 3D space is one of the many challenges designers at Esri face each day. The works that are being displayed today represent not only their individual efforts but also the efforts of the Esri Creative Lab as a whole, demonstrating how creative minds can combine their talents to create amazing works that become the makeup of a company’s visual identity. Great design and geodesign go together at Esri. We sat down with a couple Ai alumni who work at Esri to get some insight into why they chose design and a career at the world’s biggest GIS software company. 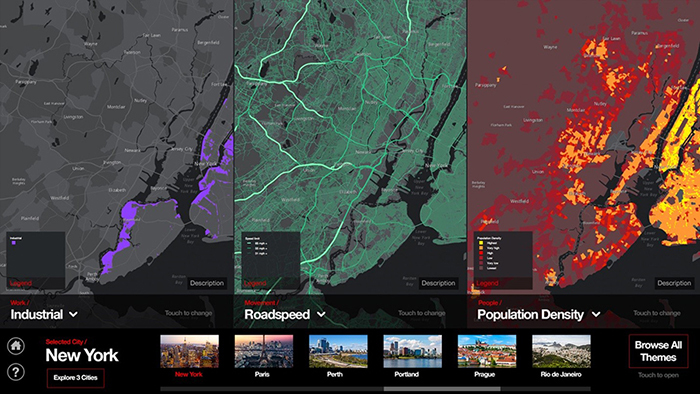 Ai alumni have created some amazing designs and push the boundaries of creativity at Esri. I’ve always been into art as a kid and it’s still a passion of mine. I discovered the design aspect when I got my hands on my first computer in Junior high school. I was drawn to Ai because of the amount of competition that was present. Nothing felt greater than going against some of the best designers at that school. I found out about Esri through a mentor of mine, John Luer, and Julio Ochoa, who was already working here. 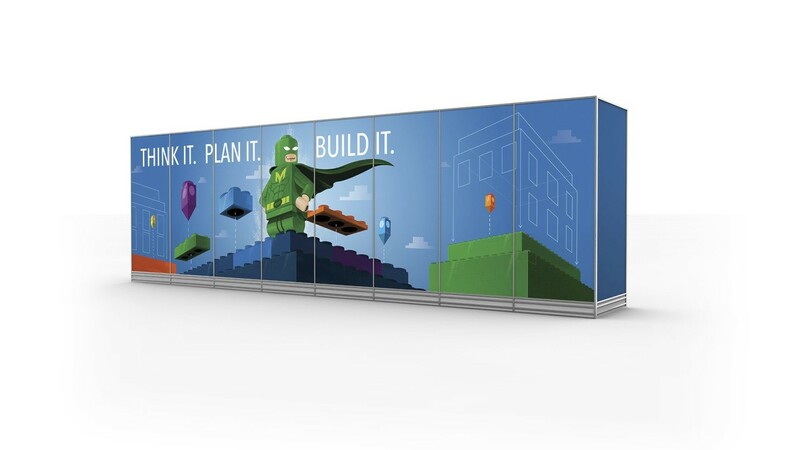 At Esri I work on banner ad designs, animation, promo items, and tradeshow booth designs. I love the work environment at Esri, the vibe, the people, and the support that we all have. This is what makes working here such an amazing place. And I’ve found out that maps are great! Working here really opened my eyes on the different possibilities that maps have on people. If I were to give one piece of advice to soon-to-be-graduates, I’d say take advantage of all the resources that are available to you. You’ll never know just how valuable they might be. Art has always been a big part of who I am, but I didn’t really discover the term design until I started creating band logos and album art, which prompted me to attend the Art Institute. At Ai my favorite class was the Business of Graphic Design, taught by John Luer. This class opened my eyes to all the marketing aspects of design, and changed the way I viewed art and design. I also really enjoyed motion graphics. Animation is a big passion of mine, so being able to bring a design to life, although challenging, was highly rewarding. I found out about Esri through my mentor John Luer, and attended an internship while in school before applying. At Esri I am a Marketing User Interface Designer. 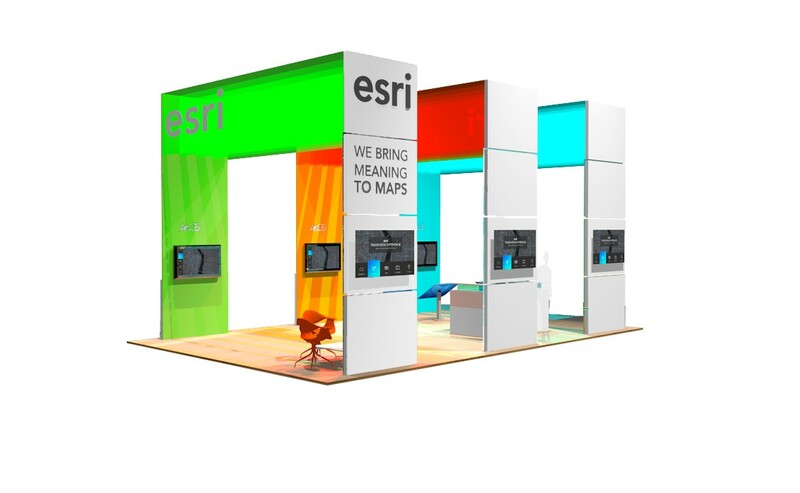 I work on esri.com web pages and apps for products, events and campaigns. If I had to give advice to upcoming designers, I would say stay creative and stay humble. Being a designer isn’t easy – it takes thick skin and dedication. Sometimes it’s overwhelming. Keep moving forward. Don’t be afraid to fail…if you don’t fail once in a while you’re not pushing your boundaries hard enough. You are creative and you’ll find you can work around any situation. Join Ai and Esri at The Art Institute of California Gallery to see more creative displays. Interested in a career at Esri? Find out how you can join this amazing team.